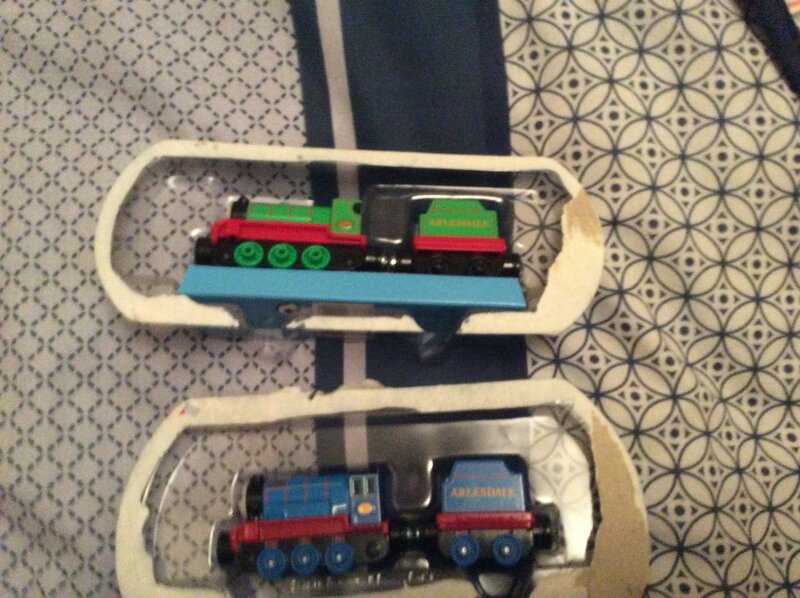 Seanrail here, and welcome to my Thomas & Friends Modelling Projects page. Today, I will show and explain to you how I upgraded my Bachmann Henrietta with a face from her 'Adventures' model, since Henrietta didn't have a face in the TV series when Bachmann released her in late 2008. 1. 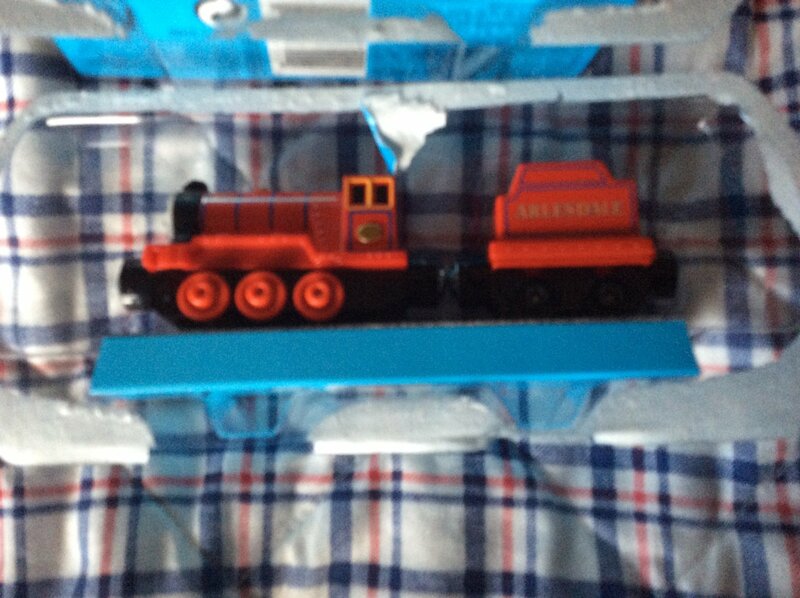 First, I used a triangle screwdriver to unscrew the 'Adventures' Henrietta model to remove the face from it. Before using sand-paper to sand down the rear of the face. and painted the door-side windows orange. 4. I then unscrewed the two Phillips screws in the middle of my Bachmann Henrietta. 5. Next, I loosen and slightly lifted the coach body. 6. I added a bit of glue on the back of the face and put it on the end with the painted door-side windows. 7. And finally, I pushed the coach body back down and screw it back together with the chassis. 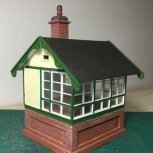 Please comment on your thoughts of this and other future modelling projects I am doing. Thank you. Nice work. I used to love watching Thomas the tank many years ago, it was very well done even back then. Here's my next completed project, converting a Take n Play Skiff the Railboat with HO/OO Gauge Wheels. My latest model project: The Foreign Engine (Also Known As Big City Engine). Model is Hornby Patriot Class 'Bradshaw' (R3278) and the face is from the discontinued and now rare Take n Play Big City Engine. Next step is adding the engine's crest on the tender. Pictures of my HO/OO Gauge The Diesel's Railway Series (Also Known As D4711) Model Project. Face used is from the Hornby Devious Diesel model, albeit repainted yellow. The next stage is finding a Diesel Locomotive model. The Diesel's RWS livery is inaccurate as none of his basis, The English Electric Type 4/BR Class 40 Diesels, were ever painted in British Railways Two-Tone Green livery, and we already have too many Type 4 Diesel characters in the Thomas & Friends universe in the form of two class 40s: The Diesel's TVS counterpart (D261) and Old Stuck-Up (40125), along with a Class 46 Derby/Peak Diesel called Spamcan/Old Reliable (D199). The only diesel classes that look similar to D4711 and had been painted in BR Two-Tone Green livery are the English Electric Type 2/BR Class 23 Baby Deltic and the English Electric Type 5/BR Class 55 Deltic, along with Deltic Prototype 2 (DP2). Which of the three would be appropriate for my D4711 project? Please state your suggestions in the comments below. My progress photos on my The Diesel's TVS (A.K.A. D261) Model project. almost completed. just needed to add the diesel's number. not going to bother adding the crest now, thus ruling The Foriegn/Big CIty Engine project completed. 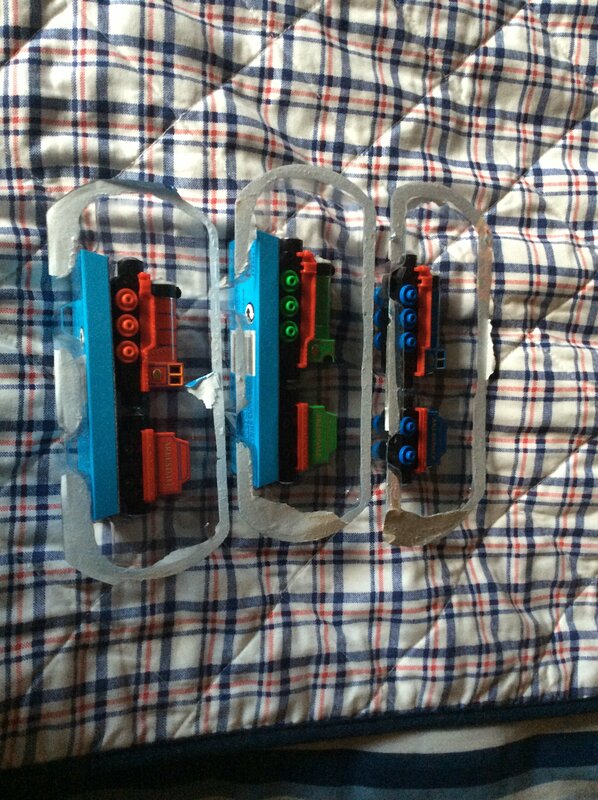 Latest Thomas & Friends Modelling Project: Season 1 Troublesome Trucks. Brown variant completed. Grey variant to follow. Added brake pipes to my Bachmann Rosie as the model came without them. Brake pipes came from my broken Bachmann Mavis. Pictures of my Bachmann James with his grey wheels, grey tender axles and red smokebox sides repainted to their correct black colour. bear in mind my James model is the original 2002-2016 model, as opposed to the 2017 redesign. Modified my Bachmann S.C. Ruffey with black buffers and coupling hooks as well as painting a plastic coal load light grey for ballast. Bought Bachmann Troublesome Trucks over the years until, as of 2018, I have five each of the five Troublesome Trucks Bachmann has made, and swap the faces around. Grey Season 1 Troublesome Truck project is now in the works.